I've had a bit of a dream for a while. I've always wanted to build a hardware random number generator. It's easy to create random numbers on my computer but they are pseudo random and that's never quite been good enough. 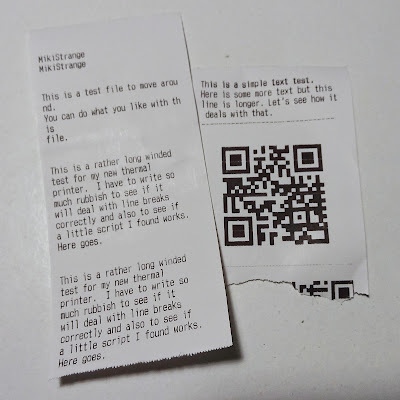 A while ago I saw a Raspberry Pi project that had a thermal printer as one of its components. I thought it was a good idea to get a print out of the numbers without having to waste a whole sheet of A4. 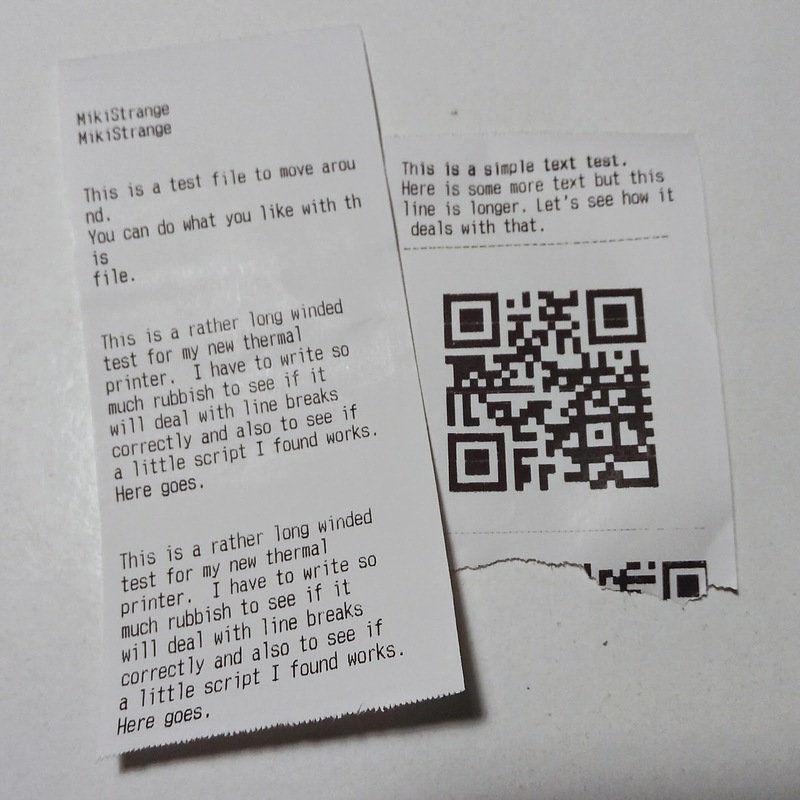 I've been testing a thermal printer tonight and as you can see it performs well. In a few weeks when my hardware TRNG USB key arrives I'll build a desktop Raspberry Pi to attach the USB key and thermal printer to. I'll then have my own hardware TRNG to mess about with.